Modern smartphones can cost a lot of money whether it is an upfront purchase price or a monthly contract, and while many of us love to own the latest and most powerful handset protecting the hardware while in use becomes extremely important to many smartphone owners. This is where a quality smartphone case comes in, and for those of you that are just getting hold of the Samsung Galaxy S3 we have the Ballistic Life Style case for you. There are many smartphone cases available for a variety of handsets, but some of these can be big and bulky that ruins the look and feel of that sleek new handset. 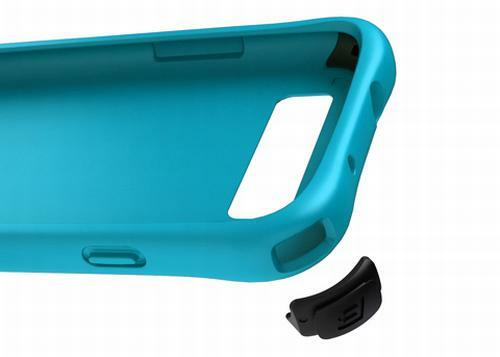 That is where the Ballistic Life Style Smooth Series Case for the Samsung Galaxy S III comes in. The manufacturer promises that the case will keep the handset fully protected while maintaining that stylish appearance, which all comes with a case that can easily slip into a user’s pocket. It promises the best of both worlds with an ultra sleek profile that creates minimal bulk, but in the mean time still offering protection. It also features interchangeable Ballistic Corners that will further enhance your handsets appearance, and comes with four colour options each with a total of sixteen bumpers. The Charcoal colour option comes with 4 black, 4 orange, 4 teal, and 4 charcoal bumpers. The Hot Pink Kit features 4 white, 4 purple, 4 black, and 4 hot pink bumpers. While the Teal colour option has 4 teal, 4 black, 4 purple, and 4 white bumpers, and the case is promised to be available soon and is priced at $29.99. To find out more about the Ballistic Galaxy S3 case click here. If you already have the Samsung Galaxy S3 what case if any have you purchased for it? This Ballistic Life Style case looks really sleek and pretty. Alas, I do not own a Galaxy S3. I hope something similar to this becomes available for HTC phones.